House Democratic leader Nancy Pelosi had some choice words for the president following an argumentative exchange in the Oval Office in which she blamed him for an impending government shutdown. “It’s like a manhood thing for him,” she said, referring to the president’s obsession with building a border wall. “As if manhood could ever be associated with him.” Pelosi unloaded on Trump, questioning whether he had even basic knowledge of how government spending works and suggesting the wall had become a point of personal pride, divorced from fiscal reality. “It was so wild. 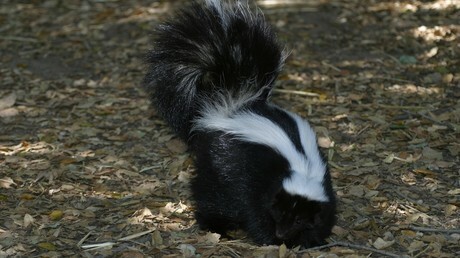 It goes to show you: you get into a tinkle contest with a skunk, you get tinkle all over you,” she told Democratic members of the House Steering and Policy Committee, in a closed-door meeting after the White House chat. Though the White House meeting, which also included Senate minority leader Chuck Schumer and an unusually taciturn Vice President Mike Pence, quickly degenerated into immature sniping, “I was trying to be the mom,” Pelosi said. She did try more than once to convince the men to wait until the cameras were off to argue, but was eventually sucked into the barb-flinging herself. While none of the parties emerged a winner from the White House meeting, Pelosi framed it as a victory. “The fact is we did get him to say, to fully own that the shutdown was his,” she said. Trump had visibly bristled at the start of the meeting when she mentioned a “Trump shutdown” but, by its close, he boasted that he was “proud to shut down the government for border security” if the Democrats refused to pass the necessary funding before December 21. Schumer accused Trump of throwing a “temper tantrum” during the meeting in a bid to secure funding for his wall. “The president made it clear he wants a shutdown,” he told reporters afterwards. Such an outcome could be catastrophic for Pelosi, who is hoping to regain her previous post as Speaker of the House in January despite stronger-than-usual opposition within her own party. Schumer and Pelosi did propose a $ 1.3 billion earmark for border security, but Trump would not settle for less than $ 5 billion, even though Pelosi maintained he did not have the votes required to pass such a measure in the House.